Oh my gosh! It’s totally time for loving on some peeps! They are best part of Easter and I don’t even like to eat them. They’re just too darn cute! 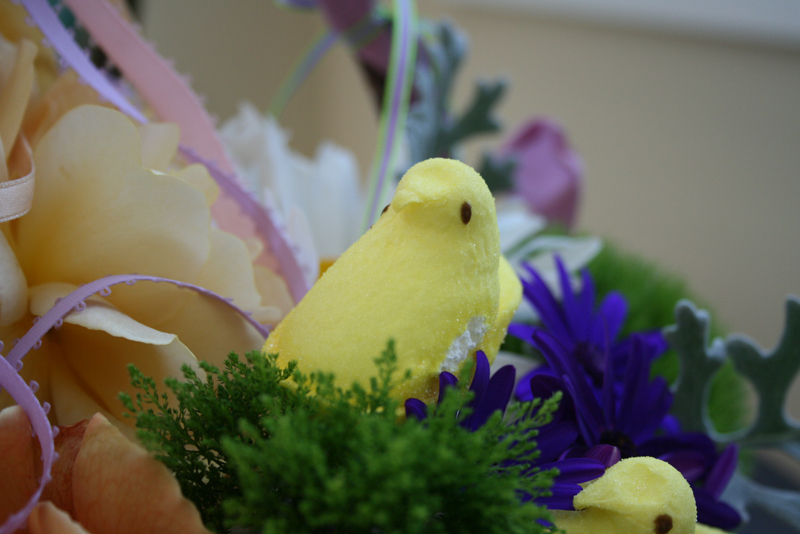 And check out how the brilliant peeps at How Does She have a Peep Topiary Tutorial up for your copying pleasure! Yes, that’s right! 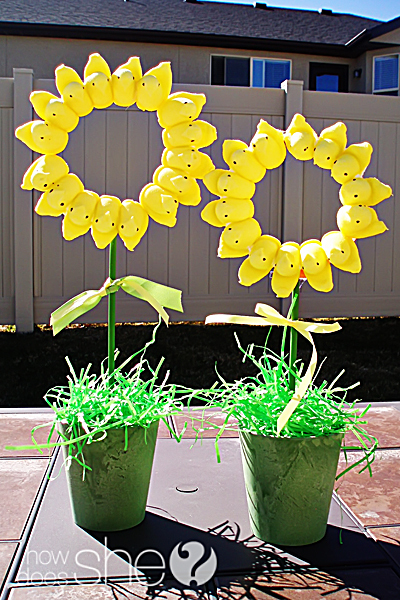 A Peep Topiary Tutorial! Aren’t those the funniest words strung together. I adoooooooore this idea! 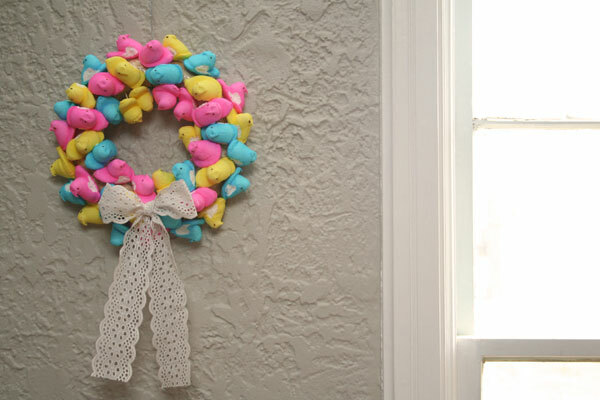 Tried & True has instructions on making a peep wreath as well! Fun ideas! And my family has always been big lovers of peeps since I can remember. We used to hide them in funny places… like in the holes on golf courses or in phone booths… for random people to find around this time of year. It’s no surprise that my mom, good old Crafty Jan, dropped off some Easter flowers last week with some little peeps on sticks mixed in. Isn’t that funny? Hi guys! So glad you’re in this beautiful arrangement. 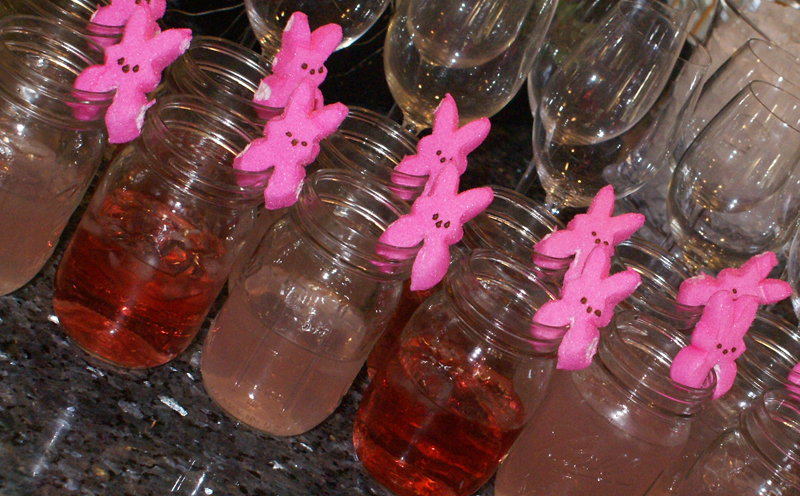 Last week my sister hosted a spring cocktail party for some neighborhood gals and pink bunny peeps made a very fabulous appearance. I love how she popped them onto mason jars. (Though, just looking at the spiked lemonade inside gives me a headache!) Finally, last year we got to see the funniest thing I’ve seen done with peeps. 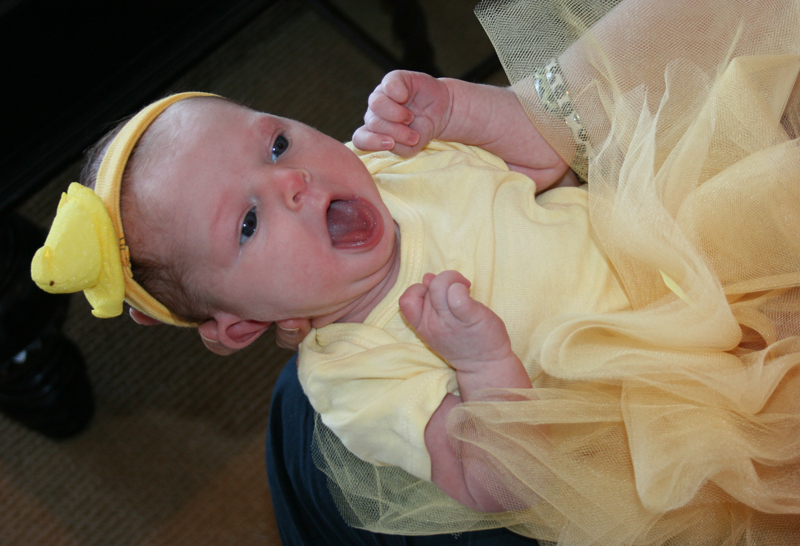 My niece, who was not even a week old at the time, came to Easter brunch wearing a peep headband! I about died then and there! Peeps! The happiest part of Easter. How will you peep this year? 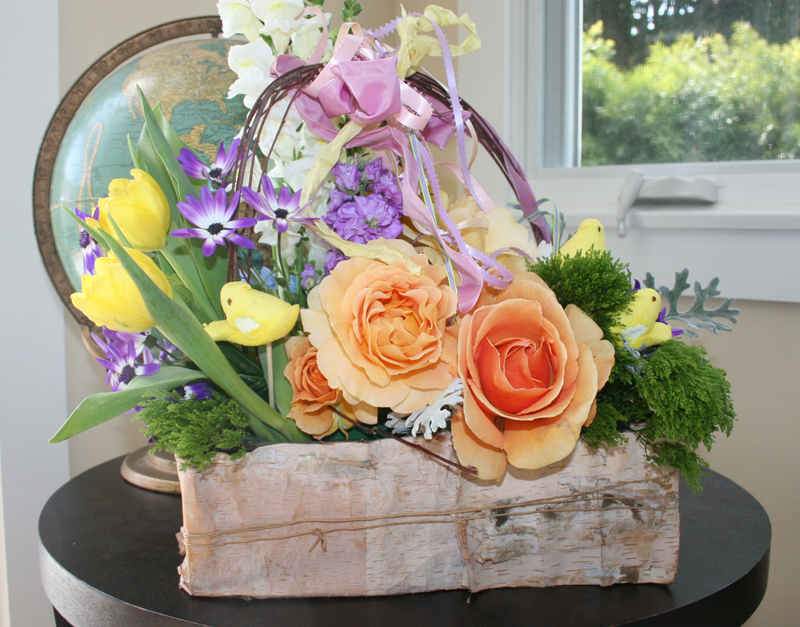 This entry was posted in how to's and tagged decorating with peeps, funny peep ideas, peep drinks, peep flower arrangement, peep headband, peep ideas, peeps on drinks by Annika. Bookmark the permalink.